Kybella is a non-human and non-animal formulation of deoxycholic acid, a naturally-occurring molecule in the body that aids in the breakdown and absorption of dietary fat. When injected into subcutaneous fat, Kybella causes the destruction of fat cells. Once destroyed, those cells cannot store or accumulate fat. 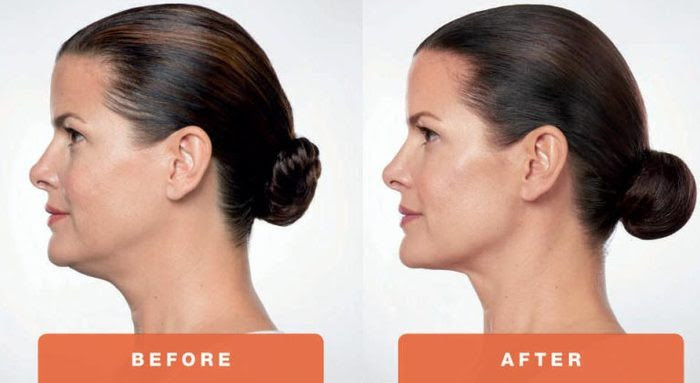 Kybella is the first and only FDA-approved injectable drug that contours and improves the appearance of submental dullness due to submental fat (double chin).